A 93-year-old woman suffered a broken arm after being hit by a van in Horbury. Officers were called to the A642 Southfield Lane at the Cluntergate junction at 11.01am this morning (Wednesday) following the collision involving a white Volkswagen Crafter. The pensioner was taken to Pinderfields Hospital and a police spokeswoman said she broke her arm in the collision. 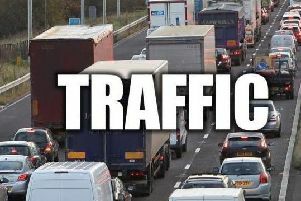 The A642 Southfield Lane at the Cluntergate junction remained closed until 1.52pm while police carried out accident investigation work. Anyone with any information should call the eastern area safer roads and neighbourhood support team on 101.